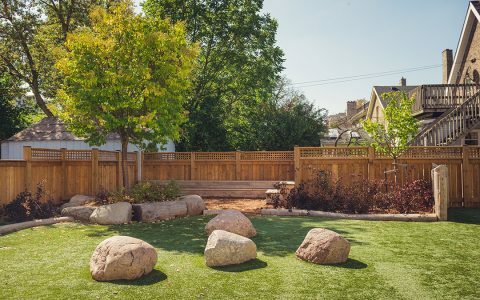 Natural materials and site amenities take the centre stage in this playground at the Montessori Academy of London. 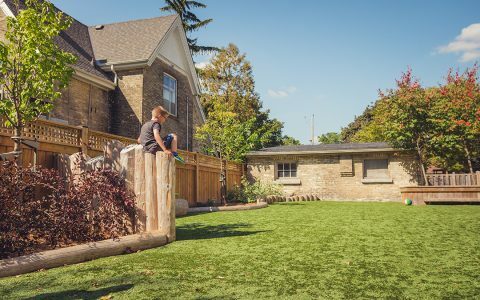 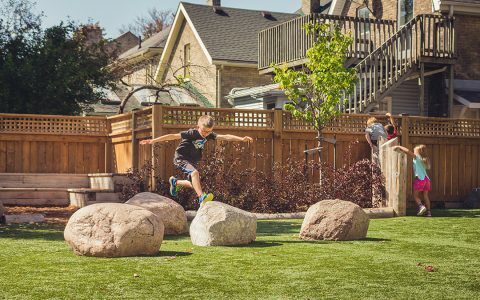 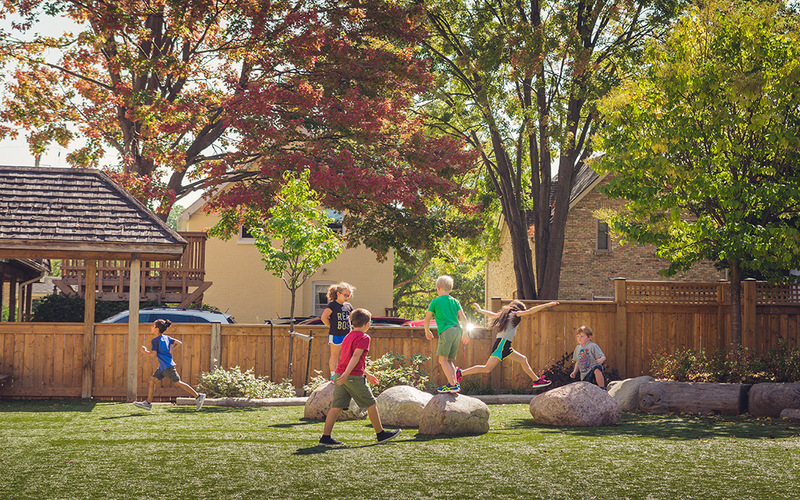 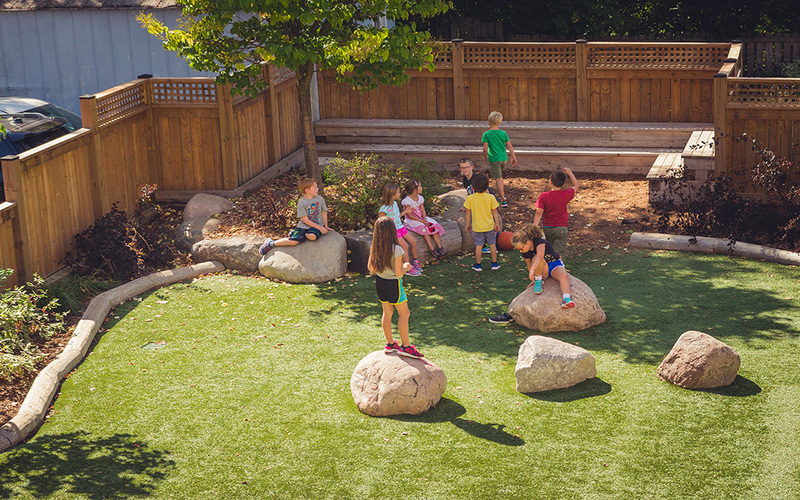 Boulders and log play posts offer non-prescriptive opportunities for active play. 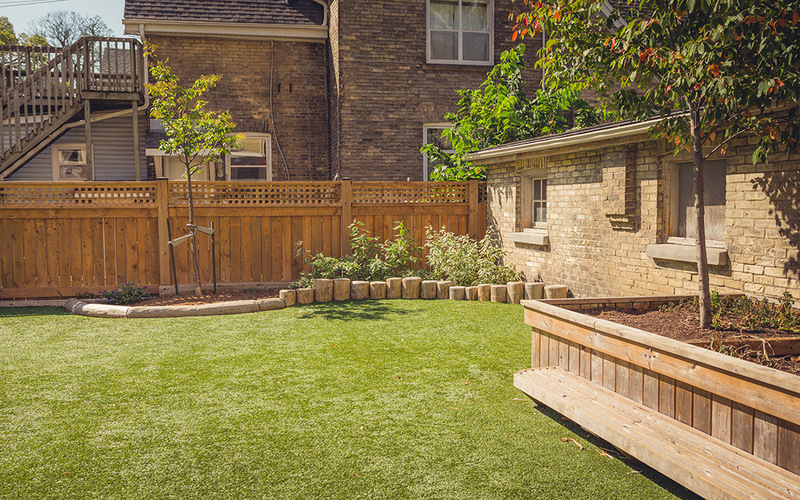 A wooden deck and seating area is a gathering space and ideal for use as an outdoor classroom. 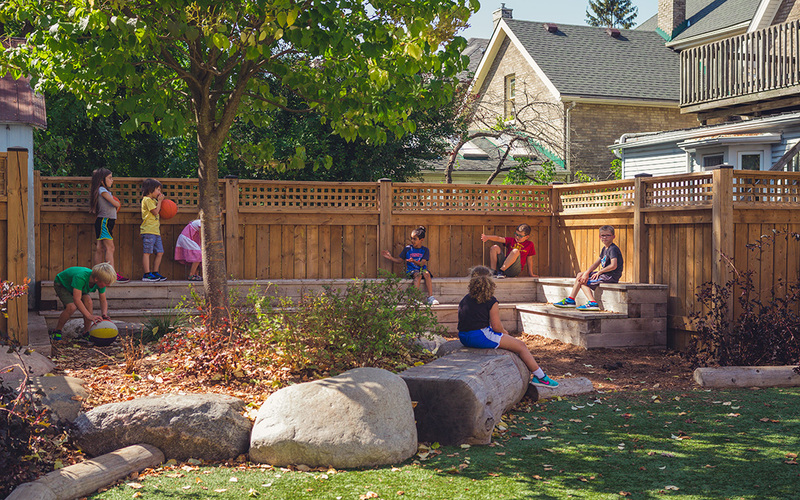 The simplicity of the playground provides the setting for both social interaction and quiet contemplation. 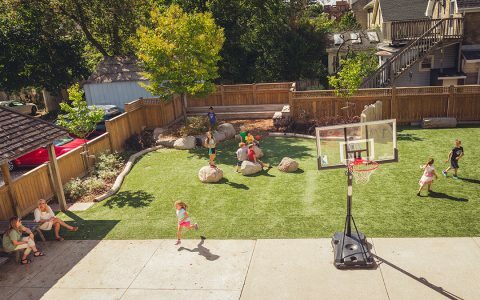 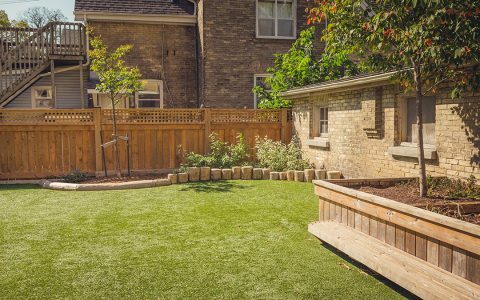 Children can use the space in their own way, and the versatility of the design allows for learning opportunities in an outdoor environment.